The small town of Vacant harbors a secret so terrifying that the local lawmen will do anything to keep it hidden-including murder. Something sinister stalks the surrounding woods, a horrifying creature thought to be only a mystical legend. It hunts at night, killing with ravenous voracity. Deputies Carson Manning and Kyle Brady are the harvesters: they find the victims, tie them to the baiting post. Sheriff Andrew Keller and Deputy Matthew Nielsen are the cleaners: they dispose of the corpses. But when Vacant’s townsfolk take matters into their own hands, nothing can contain the slaughter. I’m officially a Dylan J. Morgan fan. From his previous two books I’ve read, I knew I loved his novels. As of now, I’d read anything he put in front of me. Grocery list, errands to run – anything. As a warning, I’d advise some of you not to eat while reading the first several pages of this book – but for me? I found the opening scene morbidly delightful, and could only imagine the type of research the author conducted. The town of Vacant is full of some vile, twisted people who perform some reprehensible acts to keep a creature fed and away from their town. Sheriff Andrew Keller is one of the more flawed MCs I’ve seen, an absolute wreck of a man – and yet I didn’t find it difficult to connect with him. When his surprising past is revealed, I came to the harrowing realization of where this story was going. The suspense escalates even more from that point and I was riveted until reaching the end of this book. Flesh offers vivid imagery of blood-soaked scenes, wicked chills, nail-biting suspense – a veritable buffet for horror fans. But it’s also about the story of a man struggling to make amends for some regrettable life decisions. Highly recommended. Thank you Teri, I can see that Dylan needs to be writing faster as his fan club grows. I agree – hope he’s hard at work. Thank you, Teri, for reading Flesh and writing the review. I’m glad you enjoyed the book, and my writing. If I emailed you a shopping list, will you buy my groceries? That depends – is there a new book involved? Think you’d like this one, Bradley – definitely didn’t disappoint. Thank you for your interest, Bradley. I’d love to know your thoughts if you were ever to read it. Enjoy your day. Sorry to hear about your current position, Bradley. I’ll be in touch about a free promo. 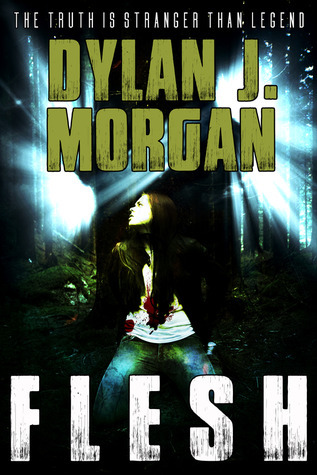 Teri Polen reviews my horror novel, FLESH.